​What if it took only five minutes a day to feel more calm, centered, and have more ease in the body? That is all it takes. Five minutes of meditation can be enormously helpful for your body and mind. Studies have found that it can counteract the effects of conditions such as hypertension, anxiety, diabetes, aging, and so much more. 1. Create a consistent time and space. Create a space to sit in the same location each time you meditate, if possible. This can be a corner of your room, a quiet room in your house or office where no one else is, or even a bench in a park. Try to find a space with minimal distractions and noise. The mind will start to associate that area with feeling calm and centered, which might make it easier to get into a peaceful state of mind. Try to meditate at around the same time each day. The ideal times are before sunrise or sunset, also called the amrit vela ("ambrosial hours"), when all is calm. Really any time of day is better than not making the time at all. If you cannot be consistent with a location or time of day to meditate, then do your best with what you can create, and you'll still reap the benefits. 2. Create a comfortable seat. If the body is comfortable, there is less distraction. Sit in an upright position that you feel good in. Asana is a Sanskrit word for a comfortable and steady meditation posture. If you are not comfortable sitting cross-legged (sukhasana) on a cushion or on the floor, you can sit in a chair. But try to keep the spine tall yet relaxed, as this will keep your mind alert and more readily able to concentrate. If you are sick or bedridden and can't sit upright, you can meditate lying down. However, for those who can do it, sitting upright is recommended so that the mind is less likely to drift off and fall asleep. 3. Supplement your meditation practice with yoga. Doing yoga postures is useful to keep body aches and pains away, but they also create more flexibility and ease for sitting in meditation postures. Find a class at your local community center, ashram, or studio if you have never tried yoga postures. Even a 15-minutes-a-day practice of yoga exercises and gentle postures will make meditation postures and practices more restful. 4. Remember that your eating and drinking habits contribute to your mental state. If you drink a lot of caffeine and eat foods that agitate the mind, this will hurt your meditation practice. Although you do not have to change your diet or habits to meditate, eating a vegetarian and wholesome diet that does not harm animals, according to the yogis, is the ideal diet for creating a peaceful mind, emotions, and body, which will then support the meditation practice. If changing a simple dietary habit creates peace of mind and greater health, why not consider taking small steps to create it? 5. Join a meditation group. If you find it difficult to discipline yourself to create a home practice, join a meditation group. Deepak Chopra offers a 21-day, free guided meditation journey a few times a year, and there are other groups you can join online to be connected to a global community. If you meditate on your own each day, it might give you further encouragement and support to join a group, even if it's only occasionally. Each day you listen to the mind giving reasons why you don't have the time, location, or condition to meditate is another day that goes by when you could be enjoying more inner peace. The outer conditions may never be perfect for you to create a practice, so just start where you are with a minute a day and be with your own breath. Enjoy my article published this month Less is More in the November print and online editions of The Edge Magazine. In modern society there is not only a push to do more and achieve more, but a constant bombardment from media to consume more. This is taught by media images and advertisements that try to convince us that the external consumption of material things will give us greater happiness and peace of mind. To sit and do nothing but observe the breath, perhaps a sound (mantra) or other tools to calm the mind, brings so many benefits. It is so simple that many people overlook it and seek external ways to find peace. When we start to meditate, and sit still, for even a few minutes a day, we may see that truly “less is more,” as joy and peace is obtained not in the “doing” but by the “being” of your true nature. To make our lives more simple and create a few more minutes a day to meditate and “be” with our innermost Self, we can follow some basic ideas from the yogic way of living. Yoga, or “union,” is an ancient science to help us reach a greater connection with ourselves and the world around us. Yoga includes postures (asanas), breathing exercises (pranayama), chanting, relaxation, meditation, nonviolent actions and diet (vegetarian) and healthy, balanced eating and living. Even trying small steps from the yogic ideas brings greater health and balance and can impact our life in beneficial ways. Everyone can benefit from yoga, because yoga can be modified to suit your needs. The benefits are numerous, ranging from pain relief to peace of mind. Using these five principals for a holistic yogic lifestyle for inner peace, outer health and harmony with animals and the earth, plus some additional ideas suggested here, can contribute more simplicity, more peace and greater harmony to our day. Proper Exercise: Each day do a little bit of exercise (yoga, tai chi, qigong, swimming, walking, etc.) It is better to practice yoga or tai chi 15 minutes day than waiting until your weekend or holiday schedule allows a full hour class or practice time. Modify exercise or yoga routines so that it works for your schedule. When we keep it simple, we are more likely to be consistent. Walking, tai chi and yoga do not require any equipment and can be done anywhere. Proper Breathing: The yogis offer breathing techniques for specific effects, such as increasing energy or calming the mind. Many practices exist, but if you just start out by simply paying attention to the breath, or even taking a few slow deep breaths a day — the most simple thing we can do without needing to change our environment — that is a great start. Also, when we slow the breath down, we activate the parasympathetic nervous system, which is the opposite of the “fight or flight” response we have when we are under stress. Proper Relaxation: The yogis give tools for deep, conscious relaxation (often done after yoga postures), but you can even practice relaxation during a lunch break, while sitting on a bench or — if you don’t have time in the day — by spending a few minutes at night being conscious of the relaxation process before you go to sleep. Simply watch the muscles in your body relax one by one as you bring awareness to each part of the body. Observe your breath, allowing the mind and body to unwind and relax deeply. Proper Diet: The yogis have taught that there is no need to harm any living being, including the animals. A simple plant-based diet, including fruits, vegetables, legumes and whole grains, does not harm animals or our health, and it is best for the Earth. It is so simple to prepare fresh salads and steamed vegetables with rice. Simple eating also is easier on the digestive tract. Positive Thinking: It takes no time at all to change a thought. When you realize your mind is too busy or being negative, try the yogic technique called prakti paksha bhavana by replacing a negative thought with a positive one. Choose which thought to focus on when you meditate. “Everything that happens in your mind is reflected in your body,” says the yoga master T.K.V. Desikachar. Meditation: Sitting in silence a few minutes or more a day allows the mind to settle and the body to relax, and that creates a better sense of well-being. Even when life is hectic and busy, allow a few minutes a day to just “be.” That is so useful for the immune system, and it allows the mind to gain clarity and the body to relax and restore energy. Keep it simple. Find a quiet place in your home or outside to just pause, sit and observe the breath. Allow the thoughts to come and go. Over time, the mind will get more quiet and peaceful. Proper Sleep: Each day, get proper sleep and rest. The amount of hours needed will vary for each person. Creating a soothing nighttime ritual may allow for deeper sleep. A nighttime ritual can include herbal tea, or reading a yoga book at night instead of watching the TV or internet, which may create disturbances in the mind or emotions. Unplug from technology each day: Although cell phones, internet and modern technology are designed to make our lives more efficient, and even easier, they often distract us from being in the present moment, being with other people and noticing our surroundings. Each time you go to exercise, before bedtime or when you first wake up, try to take some time to be with your breath, body and surroundings and take a break from computers and cell phones. Let go of things you don’t need: A simple, zen-like environment will help the mind focus and be more at peace. Get rid of clothes you don’t need by donating them to a local homeless shelter. Donate books you no longer want. See what you can let go of to create more room for simplicity in your home, office and life. This includes not only material belongings that you no longer want or use, but excess thoughts that no longer serve your greater good and inner peace. When we let go of the old, we make room for the new. Spend time in nature: Nature is healing and it brings so much joy. Watching birds, feeling the sunshine on your face and enjoying the change of seasons is so simple, yet we are often so busy in our minds that we overlook it. Physicians in San Francisco and other areas are now prescribing park time to patients. Each day, find some time to breathe in the fresh air. This can be while you walk to your car, when you’re at work, or when you can take a walk through a park or on a beach. Even if you are unable to get outside, take three slow deep breaths right now and notice the trees and sky outside and come back to the present moment. Feel the body as you inhale, and relax the mind as you exhale. Joy is within: Go within to find joy and peace instead of finding it on the outside. It is much more simple to sit a few minutes in silence, to notice the breath or enjoy a walk, than it is to need an external way to find the peace. When you tap in to the peace within, it is always there to return to. Regardless of your circumstances, relationships and outer world, the mind can always rest on the breath. Write Mantra a little, have Satsanga (gathering of spiritually like minded people) a little. Be Good, Do good; Be kind, Be compassionate. ﻿Flow Like a River: Hatha Yoga and Inspiration From the Ganges﻿ on Elephant Journal, by Stacie Dooreck, author of SunLight Chair Yoga: yoga for everyone! Click on the link to view full article and video of the sun salutations. Click on the photo to see the full sequence with photos. Reverse Warrior Pose. Click on the photo to see the full article with all yoga postures and photos. Natarajasana (Cosmic Dancer Pose)- Click on the photo to see all the photos that go with this yoga sequence. I traveled through Northern India this summer with my father.When I reached the Ganges River in Rishikesh, home to many yoga ashrams, I was captivated by the quality of the river currents as I sat and watched the river flow downstream. The river flowed continuously—some days more rough than others—yet there was always a calmness, gracefulness and gentle flow to it as the currents passed me by. Solid earthen hills towered behind the “Mother Ganges,” as the river is endearingly called, creating a perfect balance of the elements: water, earth, fire (the sun rising behind the river) and air (the gentle breeze). I was reminded that this is the exact quality of grace, ease and balance we can create in our own bodies, minds and lives with the practice of Hatha Yoga. In Sanskrit, Hatha Yoga translates to sun (ha) and moon (tha) union, creating balance of opposites. While in Rishikesh, I practiced yoga daily before sunrise, as the yogis do, to maximize the energy and alignment of the sun and to achieve the calmness of the mind in the auspicious hours (amrit vela). At the Sivananda Yoga Divine Life Society ashram where I was staying, I would practice on the porch where the great yogi Swami Sivananda lived and practiced himself. Each day, I would practice the ancient techniques of pranayama (breathing practices) for balance and energy and to prepare the mind for concentration (dharana). Afterwards, I would sit in stillness, observing the breath, heading towards a meditative state (dhyana) for inner peace, clarity and perhaps even a taste of bliss. Then, after meditation, just as the sun was rising behind the Ganges (at the early 5:20 a.m. hour) I would start my sun salutations (surya namaskar) to warm the body up for the main yoga postures, which provide radiant health, vitality, strength and flexibility in the body and mind. As a yoga instructor teaching daily to companies in the Bay Area, California, I was inspired to share the sequence I was practicing with my students and others, so that more people can feel their own energy flow like a river—afterwards allowing their mind to be still and calm. Modify all postures so that your body is comfortable, and make sure that there is no strain or pain. Take breaks when you need (rest on your back in corpse pose, called savasana). For those needing to adapt this sequence in a chair or wheelchair, you can learn more ideas in my book, SunLight Chair Yoga: yoga for everyone! Warm up with sun salutations (surya namaskar), a series of 12 postures in sync and flowing with your breath. Try it facing the sun, outside, if you are able. Here is a video you can use to learn the sun salutations (filmed back in California before I left for India). Ideally you can do this at sunrise or sundown. This is useful to increase circulation, flexibility, energy and vitality at any time of day. These standing postures increase leg strength, opens the hips, bring stability and balance to the body and mind and stretches the back. You can flow from one posture to the next, or take breaks in between by pausing in mountain pose (tadasana), standing with your feet together and balancing the weight on both feet. Place your feet three to four feet apart. Bend your front leg and keep the back leg straight, pressing the back heel and foot evenly into the earth. Turn the hips and torso to face the front leg. Stretch the arms up overhead and if able, place the palms together, while you keep the face and shoulders relaxed. Focus the eyes in front of you on one point or gazing skywards, towards the hands. Hold for three to five slow, deep breaths. Feel your strength, focus and determination as a peaceful warrior, as you ground your feet into the earth while lifting your heart up to the heavens. ~ Make sure that the front knee does not go past your front heel. ~ Evenly press the inner and outer heels of your back foot into the ground. Modify the shoulders and arms by keeping the hands shoulder width apart overhead as needed, or bring the hands out in front of you instead of overhead. Benefits: Increases leg strength, balance, supports the knee joints, and mentally brings joy, positivity, focus, determination and confidence. From Warrior Pose, interlock the fingers behind you. Inhale as you lift the heart up towards the sky and simultaneously stretch the hands towards the earth (this opens the chest, upper back and shoulders). As you exhale, bend at the hips and relax the crown (top) of the head toward the inside (big toe side) of the front foot. Keep pressing the back foot evenly into the earth as in Warrior Pose. Hold for three to five slow, deep breaths. To come out of the posture, ground the back foot (press it into the earth), inhale as you rise back up to Warrior Pose. Repeat on the second side or continue with the next few poses as a flow sequence by keeping the same foot forward for all postures. Repeat the whole sequence on the other side. Yoga practice, just like life, is full of options. You can also flow back and forth between the two postures in the photos above. For example, inhale to Warrior Pose, and then exhale in to the hip and shoulder opening variation. Repeat three to five times, keeping both feet rooting into the earth. Place your feet three to four feet apart. Straighten your front leg. Inhale as you stretch the arms up towards the sky. Exhale and stretch the spine away from the hips and towards the front leg. Then release the hands to the front leg or floor along side the legs or feet (you can also use two yoga blocks to support the hands or place the hands on a chair or table out in front of you). Hold and breath for three to five slow, deep, rhythmic breaths. Relax into the pose. Modify the posture by bending the front leg slightly, as needed so that there is no strain. Benefits: This posture stretches the legs, hamstrings and spine (good for runners and athletes). From Warrior Pose open the hips to face forward (no longer towards the front thigh). Stretch the arms in, away from the heart (in a T shape). You can hold there (Warrior II Pose) for three to five slow, deep breaths. As you exhale stretch the spine over your front (bent knee) leg, while keeping the chest facing forward. Release the front hand to rest on the front thigh or floor (in front or behind the front leg). Hold for three to five slow, relaxed breaths. Keep the weight even on both feet. To come out of the posture, press your back foot into the earth and inhale to rise up back to Warrior II (you can also repeat the sequence again if you want a more vigorous practice). From Extended Side Angle, go back into Warrior II Pose (arms stretch out in a T shape). Place your back hand on the back thigh (or outer shin) as you exhale, while you stretch the top arm over the top ear, creating a crescent moon shape or gentle curve with your spine. Keep the weight even in both feet as in Warrior I and hold for three to five slow deep breaths. Inhale to come out the posture. Rest in Mountain Pose (tadasana) with your feet together as you evenly distribute the weight between both feet. Pause and feel the effects of the standing postures. Stretch your legs apart, as wide as comfortable, without causing strain. Press the top back of each thigh evenly into the earth. Sit on a cushion or folded towel as needed to support the back. Inhale as you stretch the arms overhead. Exhale and fold forward placing your hands on the floor, thighs, holding the big toes or using yoga blocks in front of you (for more support). ~ Do not let the buttocks or thighs lift off the floor. ~ Keep the middle of the knees and middle toes facing skywards. Stretch your legs apart, as wide as comfortable, without causing strain. Press the top back of each thigh evenly into the earth. Sit on a cushion or folded towel as needed to support the back. Inhale as you stretch the arms overhead. Exhale and gently curve the spine to one side, placing the bottom arm in front of the thigh (or resting it on a yoga block for more support). As a modification you can also place the bottom hand on the floor. Gently turn the spine and chest towards the sky, allow the neck to follow and look towards the top arm. (If there is any strain in the neck, look forward or down instead.) Hold for three to five slow breaths. Switch sides. ~ Only bend sideways as far as comfortable, while keeping both thighs and buttocks evenly pressing into the earth. ~ Have all the toes facing skywards (do not let the legs roll outwards). Benefits: Stretches the legs, side body and opens the side ribs to give a feeling of expansion and more room to breath easily and freely. This lateral bend increase flexibility of the spine and legs. Stretch your legs apart, as wide as comfortable, without causing strain. Press the top back of each thigh evenly into the earth. Sit on a cushion or folded towel as needed to support the back. Inhale as you stretch the arms overhead. Exhale and gently twist to one side while keeping the spine lengthening skywards. Place one hand behind you and one hand in front of you as in the photo below. Inhale as you sit tall, and exhale as you twist. Repeat for three to five slow, deep breaths and then switch sides. Benefits: Helps the digestive organs, eases back tension and calms the nerves. Now that you created flexibility, balance, stability and strength in the body and mind you can end with a one legged balance posture to improve your mental concentration. Natarajasana in Sanskrit is the cosmic dancer. This is symbolic of the dance of the soul: birth, life, transformation or death (or what the dance of life means to you). In this posture you can find stability and also have some fun in the process. If you fall or don’t feel very graceful, that too is a dance, so enjoy it! Benefits: helps improve your concentration and focus. This posture also creates balance in the body and helps bring stability to the joints and is an upper back and shoulder opener (backbend). Symbolically this pose can help your find ease and balance even in the constant movement of life. Balance on two feet. Shift the weight to one foot. Hold on to one foot or as a modification you can hold onto your pants or use a yoga belt as in the photo below. As you hold the foot or pants, lift the back foot up and press it back away from the body. While you do this stretch the other arm overhead, placing the upper arm by the ear, or even moving the arm towards the back of the head. Find your breath and breathe into the opening and expansion of the chest and upper back. Tilt the pelvis forward trying to keep the back thigh lifting in line with the front arm ahead of you. Do your best to create a parallel line between the back thigh and front arm. Hold for three to five slow deep breaths while keeping the eyes focused on one point in front of you. Inhale and slowly ease out. Lie on your back. Have the feet be two to three feet apart, and the arms be a few inches from your hips with the palms facing skywards. Relax in Corpse Pose (savasana) for 10 minutes. Observe each part of the body relax. Then watch the breath and allow all thoughts to flow in and out, just like currents in a river. Be a silent witness to the relaxation process. Let the mind rest deep within. Enjoy the deep stillness and peace beneath and between the waves of the mind. To come out of savasana bring the knees into the chest, roll to the right side and pause. Slowly push off your hands to ease yourself sitting upright in a cross legged seat. Meditate on the breath for two to 31 minutes. Chant three “AUMS” ॐ as you focus at the point between the eybrows. Stacie Dooreck, Author of SunLight Chair Yoga: yoga for everyone!, Yoga at work instructor/owner of SunLight Yoga (onsite wellness programs at work in the Bay Area, CA), author and creator of SunLight Chair Yoga: yoga for everyone! books and teacher trainings, Sivananda Yoga Certified Yoga Instructor since 1995, Integral Gentle Yoga, Kundalini and Prenatal Khalsa Way Certified Yoga Instructor, lifelong vegetarian, daily meditator. More info at the SunLight Yoga website and at SunLight Chair Yoga Books. When I was in high school in New York I had a neck injury that caused great discomfort.When suggested to do yoga, I tried it from a Lilias Folan VHS tape, since this was before the days of seeing yoga studios all over. Within one 30 minute video session my months of prior neck pain as well as other tensions and anxieties completely vanished. I was hooked right away and continued to practice daily 30 minutes after my high school classes. Although my neck pain had vanished, I felt a deep peace after each practice session so when I was in college I continued to practice daily in my dorm room, memorizing the video sequence I practiced in high school and then using the Sivananda Companion to Yoga book, where I learned my first 1.5 hour sequence. Eventually, because my father was practicing yoga already, by the time I was in college I knew where to go to attend my first class: the Sivananda Yoga Center in NYC. 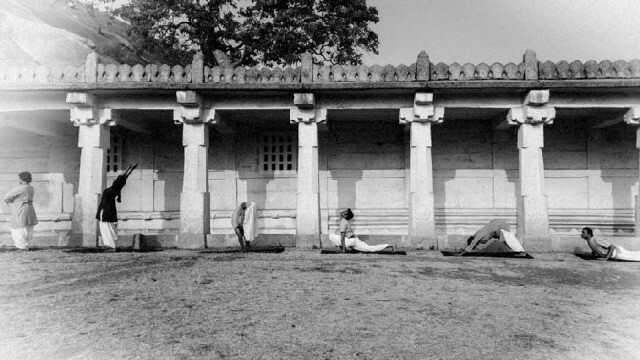 This included the full aspects of hatha yoga, which started each class with mantras, chanting and breathing techniques to create energy and balance the nervous system. Yoga ultimately gave me so much more than relief of neck tension, which was my first and only intent to start the practice. Since then it has given me tools to bring more balance, flexibility, strength and peace to my body, mind and emotions and gives me a safe space to focus inside of myself, regardless of what is occurring in my external world. Because of these immense benefits I continued on in my second year of college to live in an ashram for a month and learn to teach yoga, which I know happily share with others so that they too can improve the quality of their lives and health (in body and mind). In many large US cities you see so many people doing yoga now and it is even all over the news and media. India just had their first International Day of Yoga June 21, 2015. I happened to be visiting their that day and got to practice in the motherland of yoga, where nearby they gathered over 38,000 yogis in Delhi to practice. “The Prime Minister of India when presenting the idea of International Yoga Day to the United Nations said that “Yoga should not be just an exercise for us, but it should be a means to get connected with the world and with nature,” and also said that yoga is “India’s gift.” And by December, over 177 countries were involved in this day, including the USA, Iran, France and so many more. I agree completely, yoga is a true gift India brought to this world. So what is Yoga anyway? Yoga or “union” is an ancient science to help us reach a greater connection with ourselves and the world around us. Yoga includes postures (asanas), breathing exercises (pranayama), chanting, relaxation, meditation, nonviolent actions and diet (vegetarian) and healthy, balanced eating and living. Even trying small steps towards greater health and balance in each of these areas can impact your day and life in large ways. Everyone can benefit from yoga as yoga can be modified to suit your needs. The benefits are numerous ranging from pain relief to peace of mind. A simple way to think of it is that yoga can be summarized as a full lifestyle including five main points. Swami Vishnudevananda condensed the essence of the yoga teachings into five principles for physical and mental health as well as spiritual growth. A yoga class or practice class can help us to develop balance, well being and peace of mind. It can teach us simple stretches and yoga postures for health, breathing exercises for mental calm, and relaxation techniques to enhance your well-being. You can also learn how to increase flexibility, ease neck, shoulder and back tension and help your balance and concentration. You can find a teacher that offers modifications if you are pregnant, injured or have any health conditions that you aren’t sure how to modify for. Here are 10 simple points to keep in mind as we practice:1. In yoga class or on your own, only do the postures or exercises that are comfortable. 2. There should be no pain in the joints or body during the practice. 3. Modify postures or rest as needed. 4. If you have a pre existing injury that is aggravated by a certain movement or exercise please notify the yoga instructor right away. 5. Check with your doctor for any concerns from prior conditions or injuries if you are not sure what you can and can not do. 6. Yoga is not competitive. Go at your own pace. 7. We are all unique- do what is comfortable for your body in each practice. 8. “No pain, no pain.” We do yoga to ease pain in the body, not to create more. Be gentle even if you want a challenge. 9. Ask the instructor for modifications if pregnant, injured, ill or needing a different way to do a pose than is suggested. 10. Enjoy the practice! This is not about right or wrong, winning or losing but to feel better in the body and gain more peace in the mind. Following the simple concepts above, you can also try a simple two minute yoga practice at home. The benefits are many even from this few minute yoga sequence, including gaining flexibility in the back, hips and legs, improving posture, releasing tension in the shoulders and back as well as increasing circulation and energy in the entire body. For the mind, it is beneficial to increase concentration and peace of mind, by focusing on the breath in the postures. Here’s my two minute home yoga practice. Check out the video or read the steps below! *Please check with your doctor for any injuries or health concerns. See more and the yoga sequence and video on the link above. Enjoy my new demo video: Sivananda Yoga Sun salutations (Surya Namaskar) & Gentle Yoga sun salute modifications. This is a warm up for 12 main yoga postures. See www.sivananda.org for the full sequence. Check with your doctor for any medical concerns. Make sure all of the yoga postures are comfortable and there is no strain, only ease and peace in the body and mind. Ideally you can do this at sunrise or sundown. But anytime a day this is useful to increase circulation, flexibility, energy and vitality. Enjoy your yoga! and diet (vegetarian) and healthy, balanced eating and living. Even trying small steps towards greater health and balance in each of these areas can impact your day and life in large ways. Everyone can benefit from yoga as yoga can be modified to suit your needs. The benefits are numerous ranging from pain relief to peace of mind. A simple way to think of it is that yoga can be summarized as a full lifestyle including 5 main points. "Swami Vishnudevananda condensed the essence of the yoga teachings into five principles for physical and mental health as well as spiritual growth." 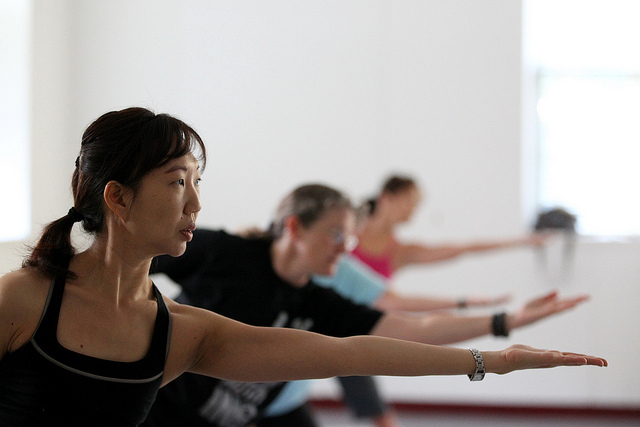 A yoga class or practice class can help you to create balance, well being and peace of mind. It can teach you simple stretches and yoga postures for health, breathing exercises for mental calm, and relaxation techniques to enhance your well being. You can also learn how to increase flexibility, ease neck, shoulder and back tension and help your balance and concentration. You can find a teacher that offers modifications if you are pregnant, injured or have any health conditions that you aren't sure how to modify for. 1- In yoga class or on your own, only do the postures or exercises that are comfortable. 2- There should be no pain in the joints or body during the practice. 3- Modify postures or rest as needed. 4- If you have a pre existing injury that is aggravated by a certain movement or exercise please notify the yoga instructor right away. 5-Check with your doctor for any concerns from prior conditions or injuries if you are not sure what you can and can not do. 6-Yoga is not competitive. Go at your own pace. 7- We are all unique- do what is comfortable for your body in each practice. 8- "No pain, no pain". We do yoga to ease pain in the body, not to create more. Be gentle even if you want a challenge. 9- Ask the instructor for modifications if pregnant, injured, ill or needing a different way to do a pose than is suggested. 10- Enjoy the practice! This is not about right or wrong, winning or losing but to feel better in the body and gain more peace in the mind. Following the simple concepts above, you can also try a simple 2 minute yoga practice at hOMe. The benefits are many even from this few minute yoga sequence, including gaining flexibility in the back, hips and legs, improving posture, releasing tension in the shoulders and back as well as increaseing circulation and energy in the entire body. For the mind, it is beneficial to increase concentration and peace of mind, by focusing on the breath in the postures. (Please check with your doctor for any injuries or health concerns). 1- Table Pose: Start on all fours with your hands under the shoulders and the knees under the hips. Cushion your knees if needed with a blanket or yoga mat. This posture brings awareness to our back and balance. If you stretch the fingers here as well it is a useful break for the hands from being at a computer all day. This posture brings mobility to the spine and can improve posture, while allowing a sense of opening to the front chest and lungs. 3- Cat Pose (Marjaiasana in Sanskrit): Exhale as you round the back, relaxing the neck. Keep the fingers stretched out on the floor evenly. This posture releases back and shoulder tensions and is a great way to release your neck and back after a long day at your desk. You can hold for 1-5 slow, deep breaths. 4- Downward Facing Dog (Adho Mukha Svanasana in Sanskrit) with the knees bent: as you exhale turn the toes under and lift the hips, creating an upside down triangle shape (like a dog stretching). This posture stretches the legs and back and tones the arms. 5- Downward Facing Dog Repeat the steps above, allowing the knees to bend only if the hamstrings need a more gentle variation. Otherwise gently reach the heels back and down as you extend the spine and hips. Spread the fingers wide. Hold 1-5 slow, deep breaths. This posture stretches the body and allows a sense of expansion, opening and ease to the breath. Rest in child’s pose: sit on the heels and rest the forehead on the floor in front of you. Child's pose restores energy and eases the lower back and hips. Slowly roll the spine up and enjoy the benefits of a 2 min yoga practice. "Serve. Love. Give. Purify. Meditate. Realize." Swami Vishnu Devananda. Here is a photo of the Sivananda yoga hatha yoga full sequence, after sun salutes to warm up (not shown here, try 4-6 rounds) and after pranayama (breathing exercises). End with a 10-15 minute deep relaxation. Modify to do gentle adaptions of these postures for any conditions or health concerns as needed (in chairs as needed too). yoga is for everyone! Generally, people understand Surya Namaskar as an exercise: it strengthens your back, your muscles, etc. Yes, it definitely does do all that and more. It is quite a complete workout for the physical system – a comprehensive exercise form without any need for equipment. But above all, it is an important tool that empowers human beings to break free from the compulsive cycles and patterns of their lives. Surya Namaskar: Making the body a stepping-stoneSurya Namaskar means to bow down to the sun in the morning. The sun is the life source for this planet. In everything that you eat, drink and breathe, there is an element of the sun. Only if you learn how to better “digest” the sun, internalize it, and make it a part of your system, do you truly benefit from this process.